In this post we will look at how to solder and what are the precautions we need to take while soldering. I'm writing this post as simple as possible and as short as possible. SOLDERING: Soldering is the joining two metals by means of an allow which is having relatively low melting points. Solder/Soldering Lead: Solder is the fusible metal allows to joint two workpieces, and it will be having low melting point below that of workpiece. 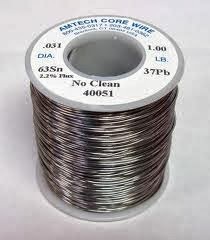 Before choosing the Solder be careful, there are many types of solder available in the market. Choose only 'rosin core solder' and dont choose 'acid core solder' which is used for plumbing pipes or other hardware but not for the electronic purpose. 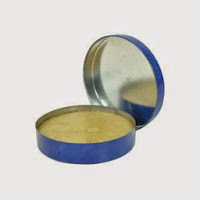 So be careful choose only 'rosin core solder' and thickness can be anything depends upon your requirements. Soldering Flux/Cream/paste: It is necessary to use flux in order to do successful soldering, it cleans the surface and results in strong bond. You will understand all of them after watching a video which is at the end of this page. 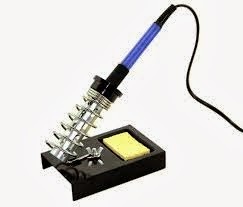 Soldering Stand & Sponge : It is necessary to clean the iron every time before we solder, for this purpose we use Sponge which removes the impurities. Stand is used to hold the soldering iron when iron is being heat. 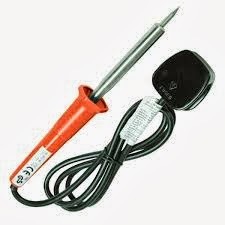 Now you need to warm up your soldering iron, dont start soldering before your iron heats well. Coat the tip of the iron with soldering lead and clean it using sponge do it for once or twice. Look at the below video to know how to perform soldering.